I know I’m impressed and apparently so are others. 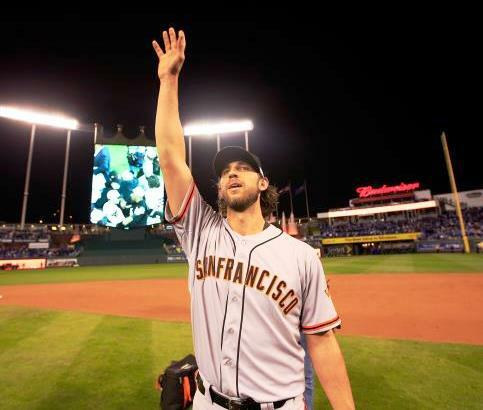 Lumping his name in with KOUFAX, GIBSON and…nope that’s it those are the only two MLB pitchers who come close to achieving what Bumgarner has and even those great performances fall short of Bum’s stats. At the young age of 25 he has pitched in three World Series and coming out of this last jaw dropping victory he held the best record in three categories. This would be an accomplishment on any stage but we are talking the “big stage” the biggest for a baseball player. I have the strongest unconditional love for my SF Giants and an equally unreasonable strong faith in the “magic” they have found since 2010. However I’m not blind and it’s clear that without Madison Bumgarner we would not have that third trophy. He was the the difference and he should know it. BUMGARNER pitched three WS and holds the record for career Fall Classic ERA WHIP (.53) and H/9 pitched (3.5) among pitchers with at 20 or more innings pitched. Madison gets his fourth win at this early time in his life, 5 plus years ahead of Koufax and Gibson. He is a winner and the statistics prove it. 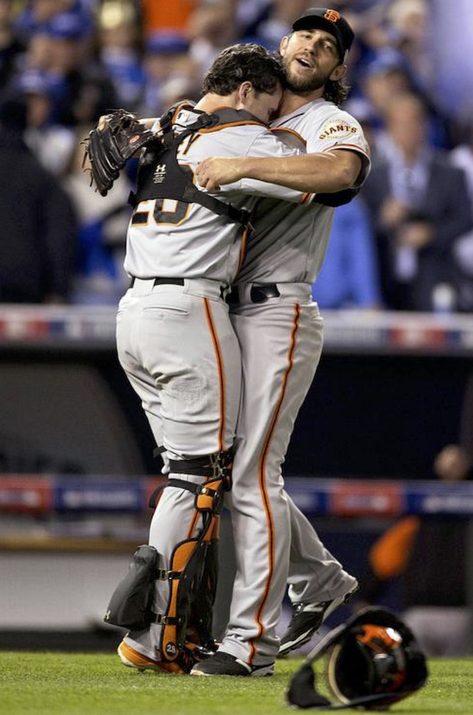 and thanks to that farm boy confident swagger the SAN FRANCISCO GIANTS are some place no other team has been. DYNASTY? I guess that’s what we can officially call the San Francisco Giants but in my opinion that word doesn’t even touch this amazing team. Start looking for a new word to describe the performance and accomplishment of my team. What will always make these three trophy’s special is that we won them against all odds and while the experts said we couldn’t. Spot on, Val! Love me some Madbum & all the other guys too! We are blessed to have this amazing team to follow. How could we not be fans? !